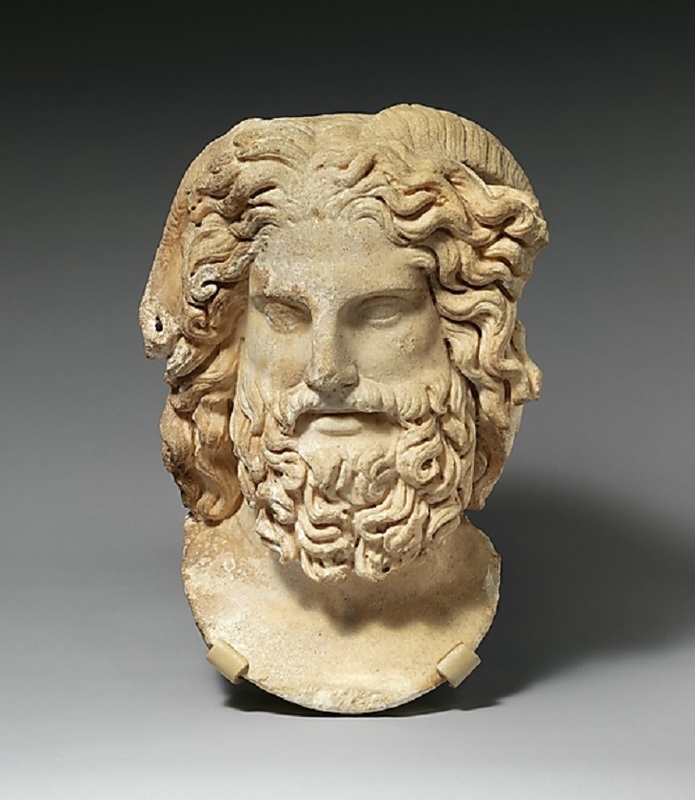 Zeus Ammon’s sanctuary at the Oasis of Siwa in the Libyan desert was already famous when Alexander the Great made his pilgrimage there in 331 B.C. Alexander’s visit to Siwa was a pivotal moment in the young king’s extraordinary life. 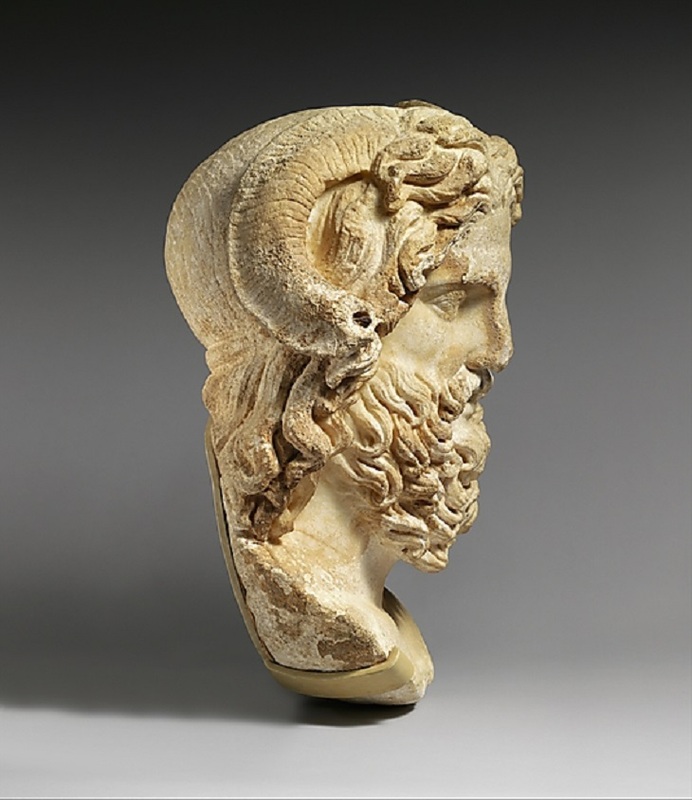 The details are shrouded in mystery, but legend has it that the Oracle proclaimed him son of Zeus Ammon and answered Alexander’s questions favorably, “to his heart’s desire.”This powerful portrait of the god combines a classical Greek image of the bearded Zeus with the ram’s horns of the Egyptian Ammon, an attribute with which Alexander himself was sometimes represented. It may well reflect a sculpture created in Egypt in the years after Alexander’s historic visit to Siwa. 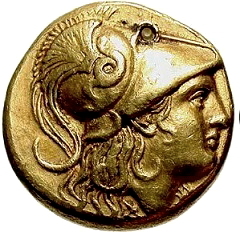 Alexander The Great in front of the tomb of Achilles.